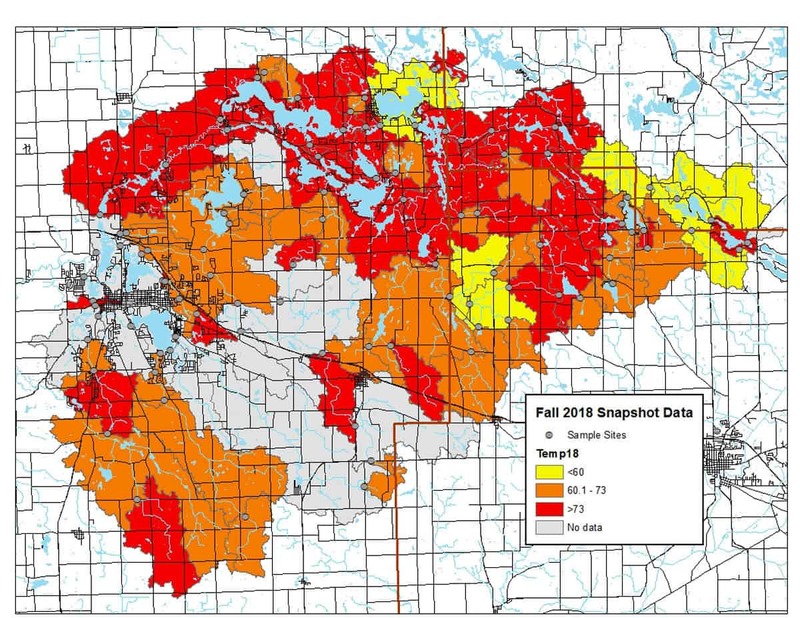 The Watershed Foundation’s second annual Snapshot Monitoring Day was held on Thursday, September 20, 2018. 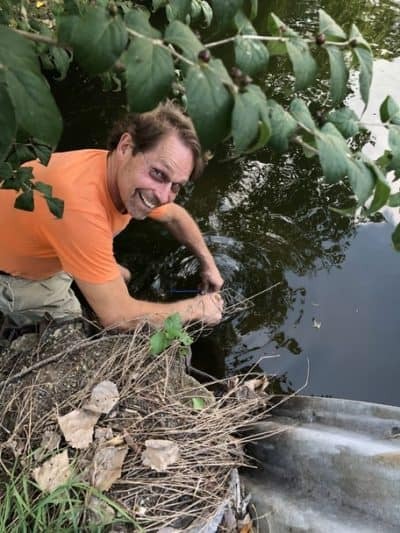 In four hours, 270 volunteers (including students from 5 schools) took stream samples and water quality measurements at 90 stream monitoring sites across the entire watershed. 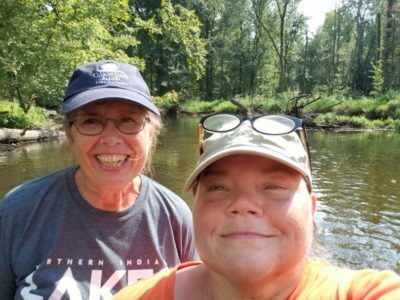 It was a great way to connect with new and experienced volunteers, get their feet wet and engaged with TWF, and collect data that will be used to identify and fix problems. 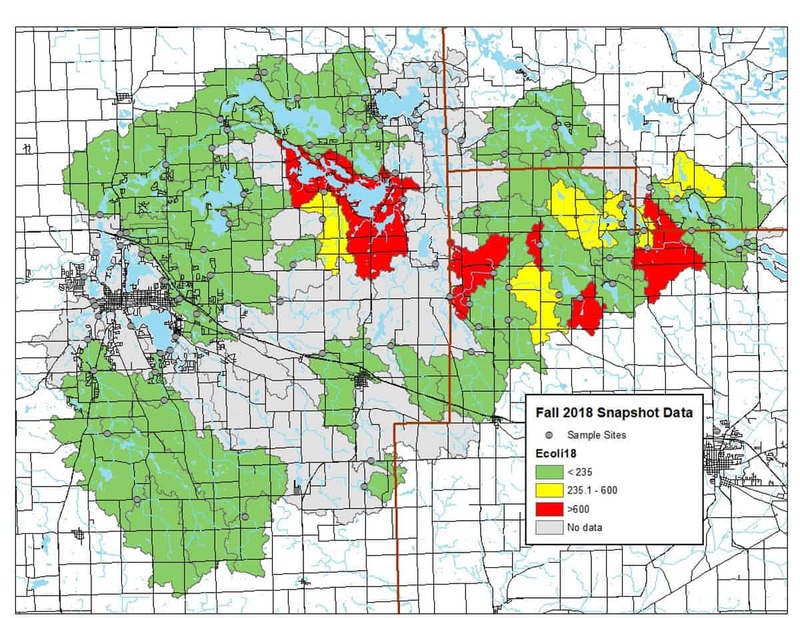 A subset of sites in the Warsaw/Winona Lake areas that were sampled by Grace College in 2017 did not get sampled in 2018. Special thanks to our generous founding sponsors: K21 Health Foundation, Arrowhead RC&D, and KEYS- a program of the Kosciusko Community Foundation. This event would not be possible without the support of our special partners: the Clean Waters Partnership, Kosciusko County Soil and Water Conservation District, the Upper Lakes of the Tippecanoe River Watershed Association (ULTRA) and the following schools (North Webster, Madison, Claypool, Lincoln, Jefferson and Washington STEM). Temperature: Temperature is an important parameter as it is the regulator for aquatic communities. All plankton, bug, and fish species have preferred temperatures. Temperature also controls the amount of oxygen present in the water – cooler water holds more dissolved oxygen. Finally, it controls the rate at which chemical reactions occur, such as the conversion of nitrate-nitrogen to ammonia-nitrogen. All temperatures in our watershed were in the normal range. Several factors affect temperature including riparian buffers or shading, watershed inputs, and surrounding land uses. Dissolved Oxygen: Moving water tends to contain a lot of dissolved oxygen, whereas stagnant water contains less for organisms to use. Bacteria in water can consume oxygen as organic matter decays. Thus, excess organic material in lakes and rivers can cause eutrophic conditions, which is an oxygen-deficient situation that can cause a water body “to die.” There were areas of oxygen depletion in the watershed, which can be attributed to lower water levels, as well as an overabundance of decaying material. Transparency: Water transparency in streams reflects the distance that you can see down through the water column. Tubes measured 60 centimeters, so any values greater than 60 centimeters exceed our ability to detect a change in water transparency. Low numbers (10 cm) indicate poor transparency while those in the 60+ cm range indicate good transparency. When stormwater runs across the land, it collects sediment – when this sediment reaches the river, transparency declines. E. coli: E. coli is an indicator organism used to monitor pathogen concentrations with surface waters. E. coli is present in the intestines of all warm-blooded mammals and can survive and reproduce outside of the body. Leaking septic systems, sewer overflows, waste from pets, waterfowl and livestock can all contribute E. coli to surface waters. In Indiana, concentrations measuring greater than 235 colonies/100 mL are considered unsafe for full body contact (swimming). 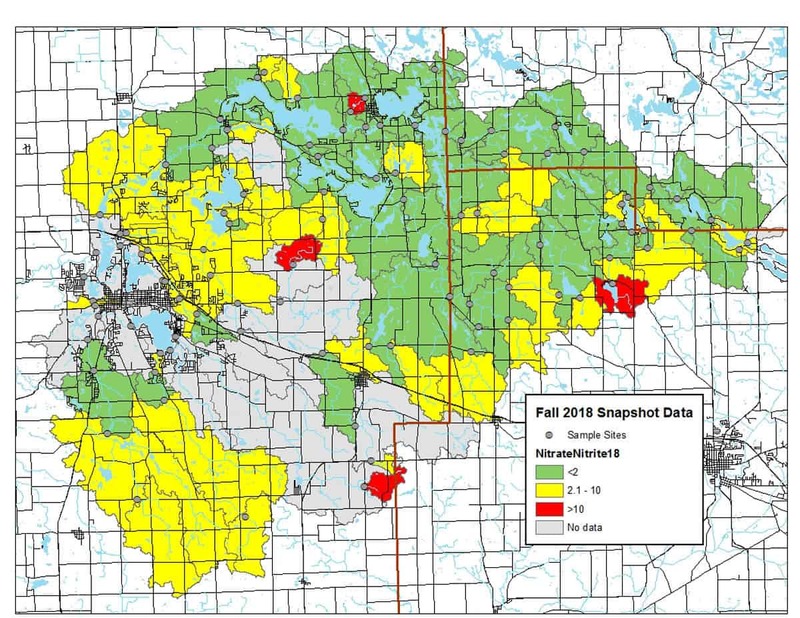 Those watersheds exceeding this water quality standard are shown in red. Orthophosphate: Phosphorus is typically the nutrient which limits the productivity in aquatic communities. Phosphorus can be measured in many forms including orthophosphate. This form of phosphorus is dissolved in the water and is ready to be used as “food” by plants and algae. Higher phosphorus concentrations typically lead to increased growth of algae or plants. These blooms can result in decreased dissolved oxygen concentrations and create poor habitat for aquatic communities. 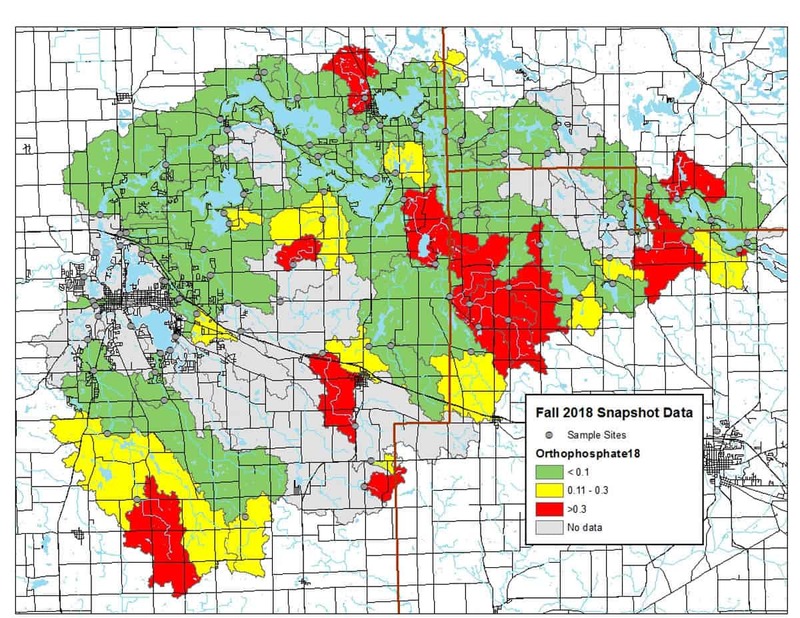 The Snapshot Day results indicate elevated orthophosphate throughout the watershed. Runoff often carries sediment and nutrients, like phosphorus, into adjacent streams and lakes. Nitrate+Nitrite: Nitrate-nitrogen and nitrite-nitrogen, like orthophosphate, represent the available nitrogen in an aquatic system. Nitrogen is also available in the atmosphere and can move from the air into the water by nitrogen-fixers. Nitrogen can readily convert between different forms, especially nitrate and nitrite. Conversion to and from ammonia also occurs when dissolved oxygen is available in the system. Nitrate and nitrite concentrations are displayed below with red representing higher concentrations. Nitrate-nitrogen concentrations measuring higher than 2 ppm can inhibit aquatic communities. Concentrations higher than 10 ppm violate the state water quality standards for drinking water. 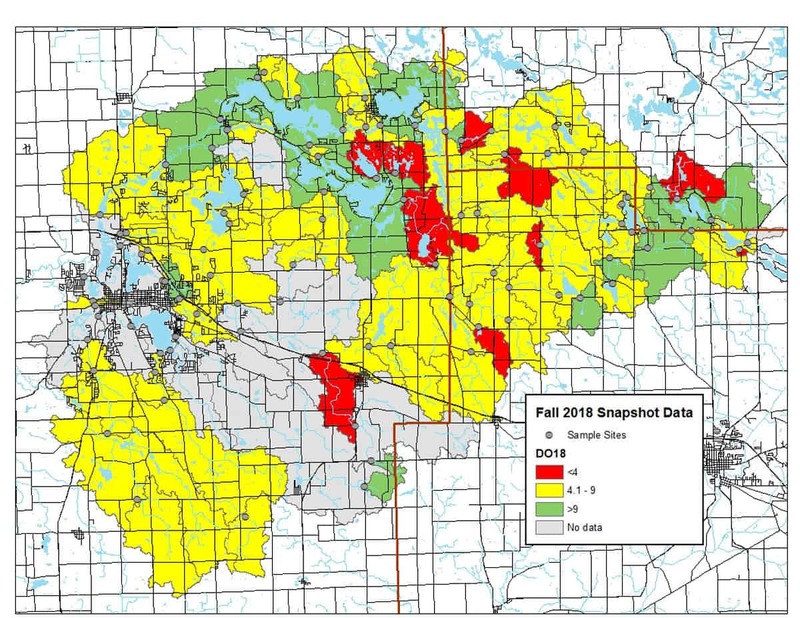 Levels of nitrite+nitrate are higher throughout the watershed. pH: pH is a measure of the amount of hydrogen ions available in the water determining its level of acidity or alkalinity. Water pH determines the solubility and biological availability of chemicals, including nutrients such as nitrogen and phosphorus, and metals, like copper or lead. Typical pH levels in Indiana streams measure between 6.5 and 8.5. pH levels are indicative of the geological materials in the drainage area. Additionally, the amount of photosynthesis occurring in the stream can affect pH levels. In our watershed we had ideal pH levels except in one area- which we are looking into!